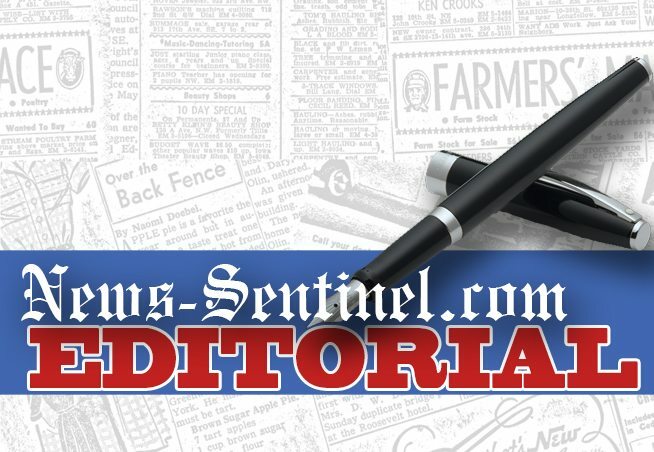 Some recent letters to the editor in this and other newspapers have complained about the common practice of people mowing their lawns and blowing grass clippings onto roads or sidewalks. There are various reasons why it’s a bad idea. The City of Fort Wayne warns that when grass clippings are washed into a storm drain, they can clog the drain. They also carry lawn chemicals into waterways. Yard waste is considered trash in Fort Wayne and must be kept out of roadways as would any other form of refuse. But the most serious consequence is the fact that clippings on the roadway can be dangerous to motorcyclists and bicyclists. Some of the letters to the editor as well as motorcyclist forums tell stories of accidents caused by bikers having to ride over grass or even leaves on the road. Wet or dry, experts say grass and leaves in the streets can be a danger to motorcyclists, especially on curves. Yard waste can affect the traction between the tires and the asphalt, so cyclists have to react on the fly to avoid slipping by slowing down or even swerving. The motorcycle blog Biker Chick News warns about possible road hazards to riders. Grass clippings and leaves are mostly water, so they can act like an oil slick beneath cyclists’ tires. Lawsuits have been filed against property owners claiming that covering the roadway with grass clippings was the cause of some accidents. Mowers, please be aware of this problem. Driving the rural roads of Allen County will show you how often it occurs. Grass on the roads is an eyesore if nothing else. And soon the leaves will be falling and will add to the problem. And it’s really not a difficult problem to prevent — cut your lawn so the discharge chute is aimed back at the yard. And if you can’t avoid blowing it onto the road or some grass or leaves end up there by mistake, get out your leaf blower or a broom and send them back into your yard. Whether in the city or out in the country, be a good neighbor and keep the roadways clear.